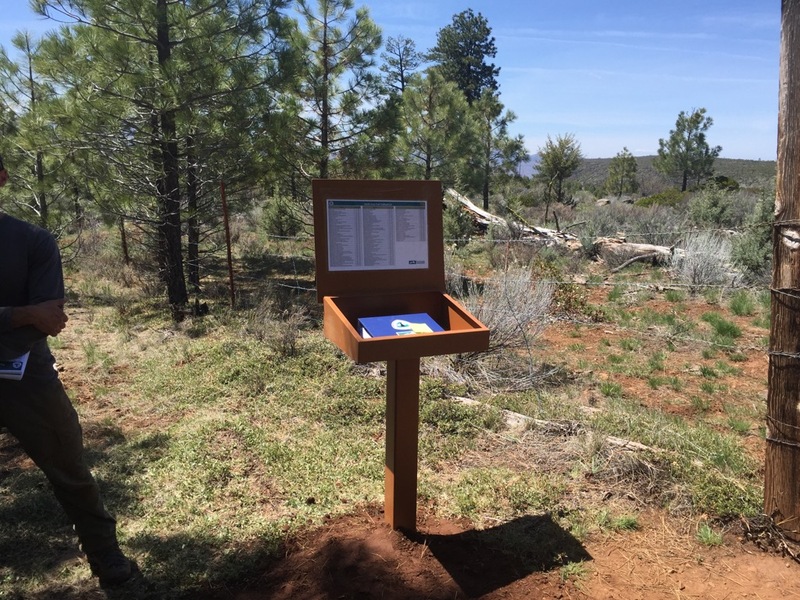 A new trail register on the Hat Creek Rim. 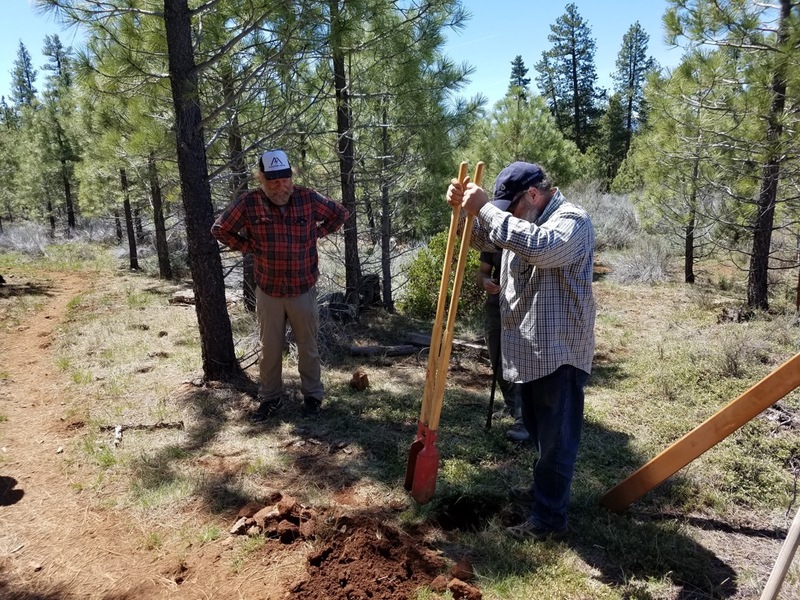 Most who have hiked the Pacific Crest Trail or worked on trail maintenance crews know that use of the trail continues to increase each year. On one hand, this is great—more people are outside being active, enjoying the outdoors, appreciating the PCT and the places that the trail leads them. On the other hand, more people on the trail typically means more physical and social impacts on the environment and the experiences of other PCT hikers and equestrians. The Pacific Crest Trail Association works diligently with our agency partners on a broad range of strategies to help people minimize their effect on the landscape and other people. This work is referred to as Visitor Use Management (VUM), and you can read more about PCTA’s overall work in this area here. One of the questions we hear frequently from trail users, agency partners and the public is: “So, how many people use the PCT every year?” There are so many access points along the trail’s 2,650 miles that no one really knows the answer—especially if you include anyone who takes a short afternoon walk, which is an important part of the trail experience. We do, however, have a very good idea of long-distance and thru-hiker use because we administer the interagency long-distance permit for anyone attempting to hike or horseback ride more than 500 miles at one time. Still, that number only tells us the number of permits we issued. It doesn’t give us a clear picture of how far those people really traveled, whether they completed their planned trip, or had to change their itinerary. Charles Williams breaks ground during installation of the register. 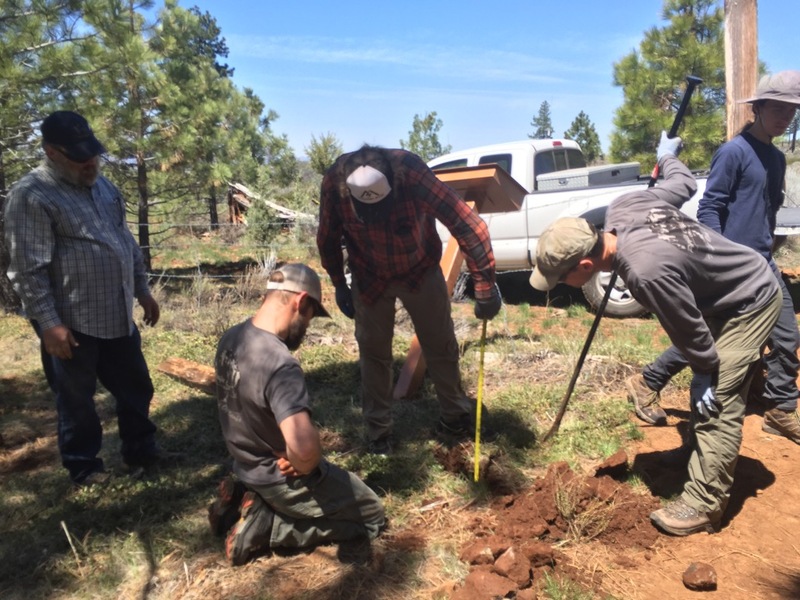 The PCTA and the U.S. Forest Service have embarked on a new program to install official trail registers to gather information about trail use patterns on the PCT. 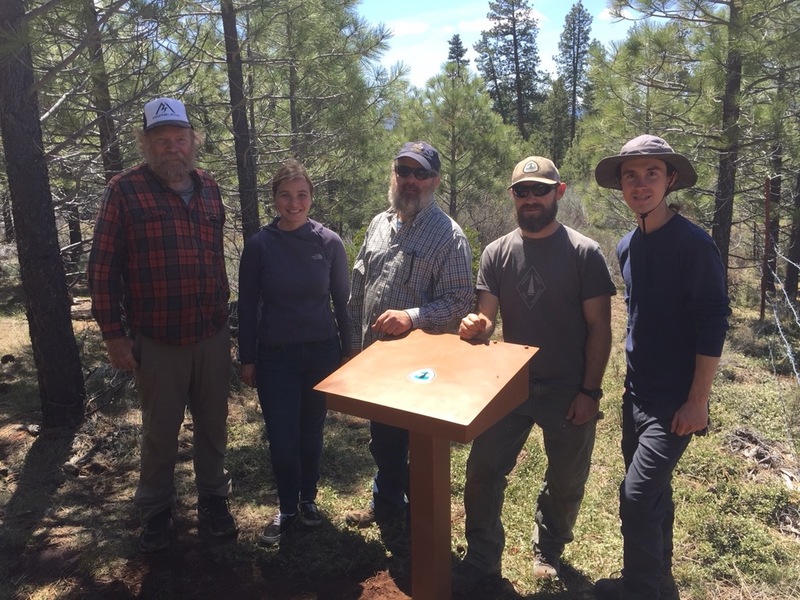 We recently installed the first register on the Hat Creek Rim, a dry escarpment between the Sierra and Cascade ranges. Unlike other trail registers, which we sometimes refer to as “cultural” registers, this register has a binder with register sheets aimed at collecting specific information. The register sheet also leaves space for a short note. We plan to install registers at four or five other locations in coming years, though we don’t have an exact count or timeline, as we want to see how this pilot program goes. The registers are just one in a suite of strategies we’re working on to better determine use patterns. The first register was funded by one of our dedicated volunteers who is passionate about maintaining and protecting the PCT. It was installed the first week of May by volunteers from the PCTA’s Pounder’s Promise chapter. Connor Swift, the PCTA’s new Northern Sierra regional representative, and I joined the crew on the Hat Creek Rim north of the developed overlook and Forest Service rest area. Please take a moment when you’re hiking through the area to stop, fill out the register sheets and help us gain valuable information that will help better protect the PCT while still ensuring that people have access to the beautiful landscapes it crosses. And as always, thanks for all you do to help protect the PCT and the amazing experience it provides. A happy crew and a job well done. Justin Kooyman is PCTA’s Associate Director of Trail Operations. He works on trail protection and management projects out of our Northern Sierra regional office in Portola, CA. When not working, Justin can be found exploring the Northern Sierra, especially looking for uncommon birds in Plumas County.